BLM’s John Bailey, manager of the RGDN National Monument – Lee Trail, looking towards Ute Mountain, 2014. On May 7, 2015, the re-introduction of the Cerros Del Norte Conservation Act was announced by U.S. 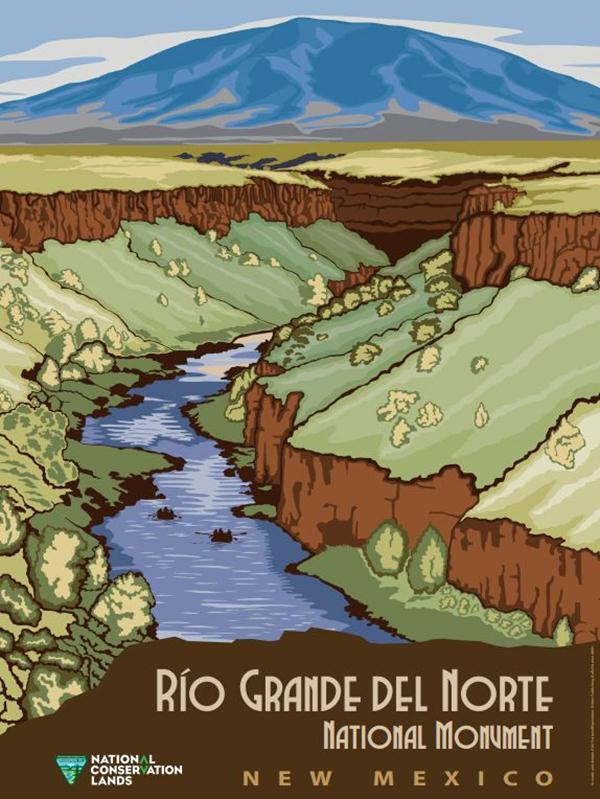 Senators Tom Udall and Martin Heinrich, to provide additional protection for special areas contained within the Río Grande del Norte National Monu­ment (RGDN). If passed, the act would designate two new Wilderness Areas – Ute Mountain (Cerro del Yuta) and Rio San Antonio. Together, these two proposed Wilderness Areas comprise 21,420 acres of the 242,500 acre national monument. It remains a great privilege to be involved in the management of one of our country’s newest National Monuments! On a tour of the Monument in May, 2014 we had the privilege of showing BLM’s leadership team some areas within the Monument that are the focus of research on certain petroglyphs that still have meaning for elders of the Comanche Tribe research being conducted by one of their tribal members who now works for the State Office of Archaeological Studies. We also had the privilege of seeing the Monument through the eyes of Dr. Paul Bauer with New Mexico Tech, who has spent his career researching what is at its heart a volcanic landscape, with structures and processes that are of international interest. These two interactions really bought home the true significance of this Monument. Our highest priority this year, and for the next year as well, will be the development of a management plan for the Monument. I’ve never before been involved in a planning effort that included so many cooperators. Our discussions concerning the range of alternatives we need to consider have been robust, and I think will lead to a draft plan that will address the delicate balance required to protect the Monument’s objects of value, while continuing the traditional uses and recreational pursuits enjoyed by so many residents and visitors to this area. In July 2014, John presented at the Thinking Wilderness Pecha Kucha event, at OCHO, in Questa, New Mexico. Within the presentation John addresses some of the issues wilderness areas face, which are particularly relevant at the moment, to the RGDN National Monument, since its two proposed Wilderness Areas are again on the table for possible designation. We are pleased to share John’s presentation with you and we hope you enjoy it. 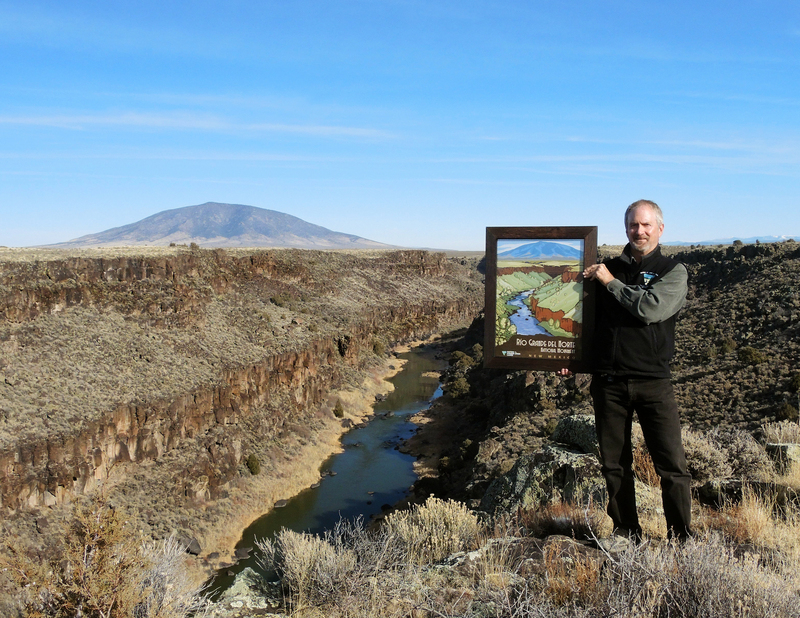 John Bailey was named as the first manager for the Rio Grande del Norte National Monument in June, 2014, but had been serving as the official spokesman for the area since its establishment in March, 2013. He has worked and lived in the Taos area for over 26 years. His degree is in cultural anthropology, but most of his professional experience has dealt with how to best connect the public with the lands that they collectively own. This of course means dealing with user conflicts and helping to resolve them!